Today I am so pleased to be introducing you to the amazing Narelle Oliver. I have known Narelle for many years now and I always enjoy a good laugh and a long chat when we catch up. 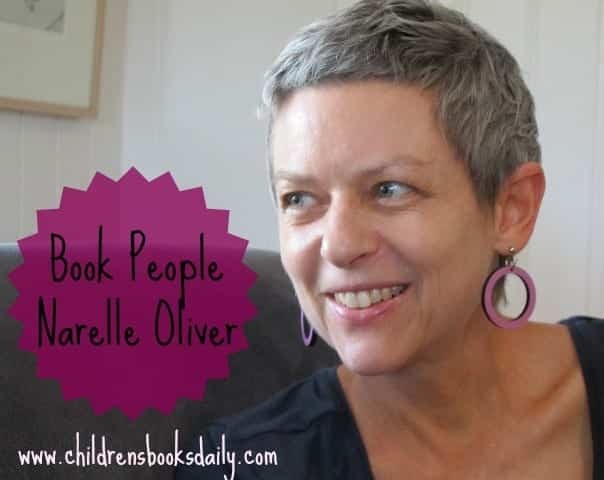 Narelle Oliver is the talented author-illustrator-artist of many award winning children’s picture books, several of which are distributed internationally. So highly regarded is she here in Australia that the Governor General, Ms Quentin Bryce AC, has launched two of her books and has several pieces of Narelle’s artwork in her residence. She is also PudStars favourite author/illustrator and you can read more about that here. 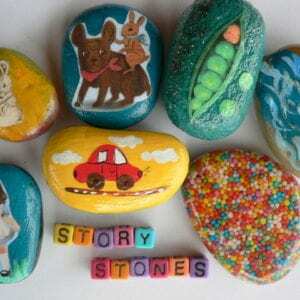 Narelle Oliver’s books are often inspired by natural environments. She undertakes many site visits – taking photographs and sketches to ensure accuracy in her depictions of flora and fauna. Her illustrative technique of choice is linocut printing, often combined with other media, to create illustrations and artworks which are distinctive and visually stunning. Both my girls are lucky enough to have a Narelle Oliver artwork each, and over the years I have purchased a number of pieces for myself and my school library. Her ability to create textured tree bark, or a shimmering mermaids tails with sheets of lino, carving tools, ink and pencils is astounding. There is no better workshop than a Narelle Oliver print making workshop…I could watch her carve lino all day. I regularly book Narelle for workshops or author talks at school as students and teachers alike love her sessions! She can be booked through Speakers Ink. I have reviewed and suggested her books as gifts on Children’s Books Daily many times. My review of her latest book, ‘Don’t Let a Spoonbill in the Kitchen’ is here. For friends who have moved from Brisbane to overseas or interstate I always purchase, ‘Home’ for its exquisite depictions of the Brisbane River and other landmarks. If you need a gift book for a newborn, you can’t go past, ‘Baby Bilby Where Do You Sleep?’, which I have in my list here. If you are doing an author study on Narelle, you will find more information and resources on her website. So here we go, with ten things you need to know about Narelle! My latest book is called, ‘Don’t Let a Spoonbill in the Kitchen!’, published by Omnibus/Scholastic and released in April 2013. It’s silly and serious at the same time. It takes a look at 6 different birds and the features which suit them to their natural world – then plops those birds into human situations where such features could come in handy. (eg. the spoonbill’s spoon bill in the kitchen) But it ends in chaos each time. This one is best for reading aloud – it’s in rhyming text (which I found scary to write) and has repeat refrains – perfect for kids to get a chance to shout in class. I used collage for the illustrations– cutting up bits of paper, linocut birds and photos I had taken and getting glue all over my fingers and cursing and drinking copious cups of tea. 2. 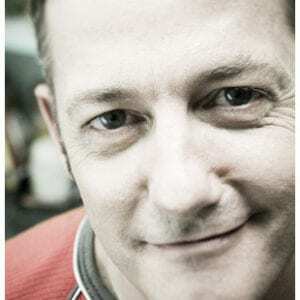 How did you get started as an author/illustrator? I became interested in children’s picture books when I studied them at teachers’ college way back in the 70s. I also did a lot of art – printmaking and design – and it was then that I harboured a secret desire to write and illustrate children’s picture books one day. After college, I taught at the Qld School for the Deaf. I was always amazed at the details which the deaf students could find in the pictures. We often made up stories using the children’s pets as characters and photographing them in doll’s houses etc. I loved this process, until, in the end, I decided to have a go at illustrating and writing a picture book of my own. My first attempt was called, “Leaf Tail” and it was published in 1989. I like to sleep in – I find that some of my best ideas come to me while I’m lying in bed thinking, before I get up. (at least that’s what I tell my husband) Then after breakfast and reading the paper I go to my home studio (downstairs) and start whatever I’m up to. It might be drawing, or cutting up collage papers, printmaking or working at the computer. I do my writing by hand sitting in a big comfie lounge chair. I try not to look at my emails until after lunch, but usually curiosity gets the better of me – and then suddenly, as if by magic, I find hours have passed answering emails at the computer. After lunch and a very very short nap, I do some more work then go for a run beside the river before it gets dark. After dinner, I might work again if there’s a looming deadline, followed by one of my favourite pastimes – reading a novel before bed. My workspace has tables, shelves for storing books, and big drawers for storing papers and artwork. In the photo, you can see one of my tables with the lightbox on it. I use a lightbox a lot. I start with a very rough drawing and then gradually get it the way I want by tracing over it using the lightbox.. I’m also surrounded by my collections: I have a little “nature table” with birds nests, stones, feathers, seedpods, shells, and little animal skulls and a collection of printmaking stamps from different countries. I know it’s been said before, but read as much as you can get your hands on. There’s sooooo many books out there for children these days, there must be one kind that takes your fancy. And the more you read, the easier it is to write. One of my favourite picture books is ‘Doctor De Soto’ by William Steig. I love the very satisfying and clever ending, the unpretentious illustrations which are perfect for the story, the words in it – Steig uses proper dental terms, and the characters – the dentist and his wife, despite being mice, are very believable and the fox is more complex than usually portrayed. I think I’d like to be a taxidermist or at least hang around the taxidermy section of the Qld museum. My friend, Shirley is a voluntary taxidermist there and has invited me to watch her work on various animals. It is fascinating to examine fur, feathers, claws, feet, echidna quills etc up close and see how they work, fit together, attach to skin. And then getting the animal to look as it once did in life is such a challenge involving knowledge of the animal and sculptural skills. I love mangoes but it means my keyboard gets sticky and I do try to keep them away from artwork. I’m going through a patch of listening to the Beach Boys while I draw, but I don’t listen to anything when I write. 9. How much of yourself or other people you know are in your books? The Boss Snig in ‘Dancing the Boom-cha-cha Boogie’ is definitely a mixture of some people I know along with a politician who was famous at the time of writing. 10. If you could have one wish for the world, what would it be? Enough clean water and healthy food for everyone would be a good place to start. You can purchase Narelle’s books by clicking on the cover of each. I forgot to tell you that I met the amazing Dr Pamela Douglas from the Possums Clinic at a conference a few weeks ago – remember Narelle Oliver did the illustration for the logo for the clinic and gave Georgia a framed possum for her Christening?! Oh!!!! That is so cool!!! Sad news. Love her artwork. One talented lady.